It’s somewhat shocking to find out, after immensely enjoying listening to a specific song, that the songwriter turns out to be a whole lot younger than you are and not to mention slightly embarrassing, especially when compared to someone like meself; who possesses no musical writing skills whatsoever. It all just traces back to one saying: ‘If you can’t be a good music-writer, then you’re better off being a good music-listener’, makes pretty good sense to me. 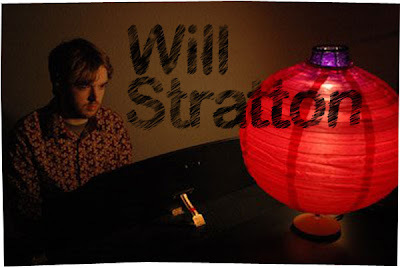 Will Stratton, at only 19, composes music that’s quite formidable and impressive for someone at his age, I mean what was I doing at the tender age of 19? My point exactly. Will’s music is the kind that you’ll find snugly nestled between music such as the likes of Sufjan Stevens, Iron and Wine, and Nick Drake just to point a few. If you’re listening to his debut album, What the Night Said, and start to feel a night-time vibe encircle you thus soaking up your brain; trust me when I say, it’s not just you, in fact the album was very much written on that specific note: the essence of darkness and stillness that are only ever found at night. ‘Katydid’ is definitely one of the tunes to look out for in the album for the reason that it’s a perfect lullaby bathed in the swaying and tinkering sounds of the piano and ‘oboe’ coupled with Will’s clear though downbeat vocals that almost sounds as if he whispers the lyrics to you in the midst of the night. Seamlessly molded and carved while encapsulated by the quietude and barrenness of the night-time’s cool yet warm atmosphere turns it into a chilled-out folk ballad that could steadily serenade you to your deepest slumber. You really have to try it, to fully savor its pretty sounds.